American Standard, the parent company of Trane, makes highly rated heat pumps like the American Standard Silver XI 14. It offers Energy Star qualified efficiency at a very competitive price, backed by a solid warranty. For consumers like Patricia in Roanoke, Virginia those are the keys to finding the right unit. Here’s her American Standard Silver XI 14 heat pump price as we continue to bring you all types of HVAC price for you to compare. “We recently relocated here from Orlando and found a cute little home that needed some TLC. It turned out to be a bigger money pit than we expected and the ‘bargain price’ became a decent price but no better. Anyway, one of the issues it had was an old furnace of uncertain age – probably 18-22 years old. We decided to replace it rather than possibly have to do it in the middle of winter. We’re partial to heat pumps so had Goodman, Lennox and American Standard dealers out to give us heat pump prices. The biggest decision was to choose an air handler or go with a gas furnace to provide an alternate source of heat. In the end we chose a gas furnace to give us more flexibility in terms of using the cheapest fuel. When that was factored in, the American Standard had the highest rated system we were considering and the contractor really knew his stuff. The installation took place the following week and the only hiccup was that they showed up with an air handler instead of a furnace. Thankfully they discovered the problem before they installed it – I hadn’t even thought to ask. While they worked on other parts of the system, someone from the shop brought the furnace and took the air handler. The job took a day and a half. The system has worked well this winter. We use the furnace only on the coldest days – though there’s been quite a few of them. We’re still adjusting to not being in Orlando! The system functions quietly and our heating bills, we’re told, are reasonable, though much higher than they were in Florida. Here is the cost. 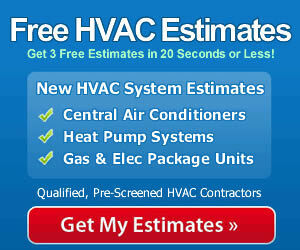 14 Seasonal Energy Efficiency Rate for cooling, which is Energy Star qualified. Excellent energy savings compared to older heat pumps. Quiet and efficient ClimaTuff scroll compressor and spine fin coil. Compressor blanket and insulated cabinet for reduced noise. Weather resistant coating and fasteners maintain the unit’s appearance longer. 10-year warranty with extended coverage available. The most reliable way to ensure efficient and durable performance from any HVAC system is to hire a qualified contractor to install all of the components. They have the training, skill, tools and experience to complete the installation so that the system runs safely and efficiently. Don’t cut corners on installation. Use a pro and get the best and longest service possible from your investment.